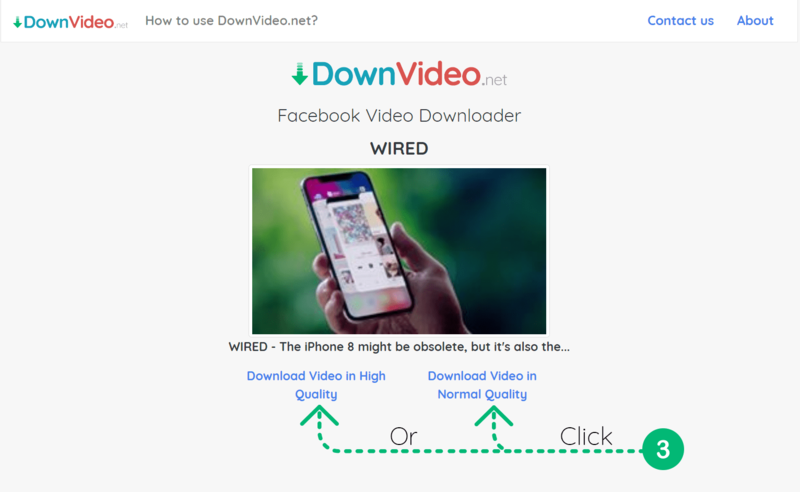 This how-to tutorial will show you how to download any facebook video online without software or plugins using only DownVideo.net website. You can click on an image to open it in a new tab. Copy the Facebook video link you'd like to download: Right Click on the video -> Show Video Link -> Copy. Paste the video link to DownVideo's text box and Click Download. Download your video by clicking on "Download in SD" or "Download in HD" (if HD quality is available).